Every home has appliances! These essential mechanical implements assist homemakers with the daily chores and tasks that would otherwise take hours to complete. 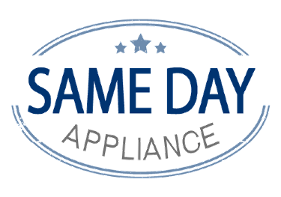 So when an appliance in your home stops working correctly and fails to perform its designated tasks, contact Same Day Appliance Repair and let us know that you need appliance repair. In Arlington, VA, contact us to repair the following residential appliances: air conditioners, refrigerators, freezers, washers, dryers, dish washers, ovens, ranges, and range hoods. No matter what the issue is with your appliance, our staff will diagnose and remedy the problem quickly, affordably, and correctly. This ensures that future repairs won’t be needed while also guaranteeing the highest levels of customer satisfaction. Our highly-qualified and experienced service technicians have fully repaired a countless number of residential appliances back to full working condition. So no matter the age, repair history, or condition of the appliance, we know our factory trained, bonded, insured, and licensed professional team of appliance repair masters will be able to assist you with your appliance repair. Arlington area senior citizens and military personnel are also eligible for special offers and rates! In addition to appliance repair, our skilled team of appliance experts performs comprehensive appliance service in Arlington, to assist customers with appliance installation as well as annual preventive maintenance. While these two services might seem unimportant, that couldn’t be further from the truth. Without annual maintenance your appliance will struggle to operate in a correct and efficient manner. Most consumers lack the knowledge of how to top off an appliance’s fluid levels, and most don’t know how to replace damaged wires and electrical components. However, when these problems go undetected and ignored, both your wallet and appliance will feel the effects. Check your Owner’s Manual for the suggested regular maintenance schedule, and then contact us. Preventative maintenance anticipates problems with appliances, allowing us to fix failing components before they lead to systemic shutdown. 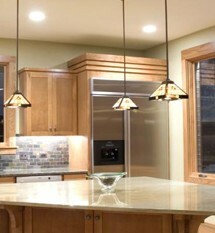 Additionally, our repair and service technicians assist our customers with residential appliance installation. If the job seems too daunting to handle on your own, don’t take an unnecessary risk! Contact ustoday for more information on our appliance installation in Arlington. Same Day Appliance Repair is ready to assist its customers with any type of appliance service or appliance repair! We service the following areas: Arlington, Chantilly, Alexandria, Gainesville, Mclean, Tysons Corner, Great Falls, Vienna, Falls Church, Annandale, Burke, Oakton, Dunn Loring, Springfield, Woodbridge, Dumfries, Dale City, Fairfax, Centreville, Fairfax Station, Clifton, Lorton, Manassas Park, Manassas, Bristow, Haymarket, and Nokesville.